I’ve been having highlights for years and quite frankly it was becoming a pain in the arse to maintain not to mention costly. My roots are naturally quite dark and would grow out quickly. I was going to the hairdressers every six weeks. My hair was getting damaged through the process too. I fancied a change and popped into one of my local boutique salons upon my mother’s recommendation. I’m so glad I did, they were wonderful. The salon itself is in a class of its own. Stylish and immaculate with a relaxing atmosphere. 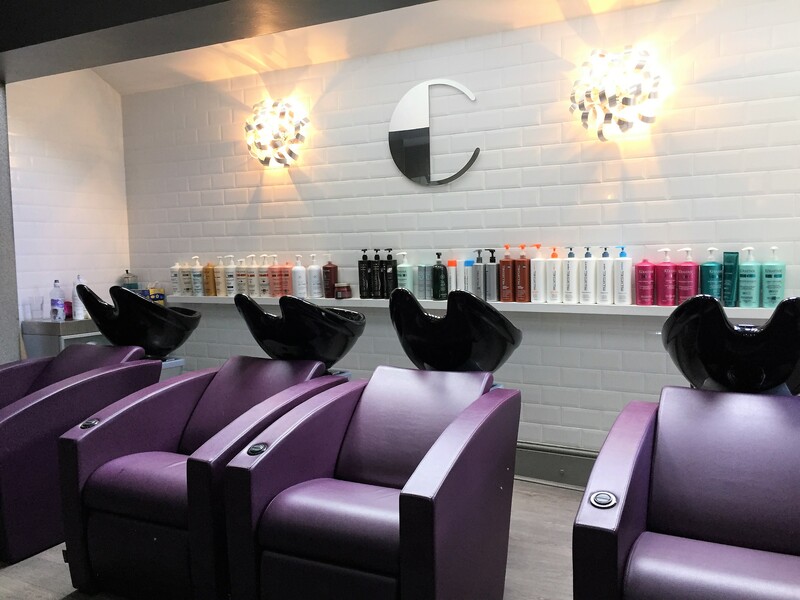 The purple towels and gowns add a touch of glam and sophistication.They even have purple chairs and hair dryers to match. The service is second to none. I felt pampered throughout. 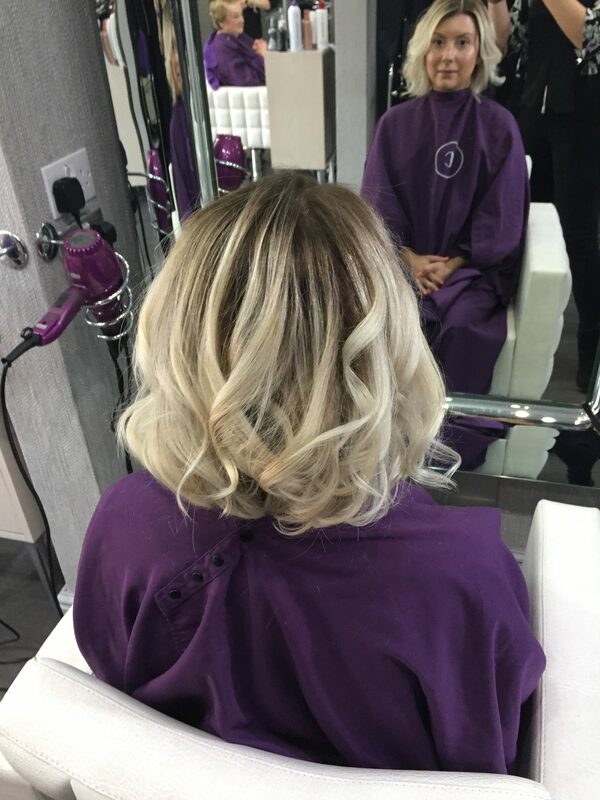 Art Director Ella is absolutely incredible with colour and showed me a few pictures of clients hair she had done recently. I was sold in a heartbeat! I wanted fresh, bouncy, natural looking beautiful hair and that’s exactly what I got. I’m so happy with the results I’ve just got to tell everyone! 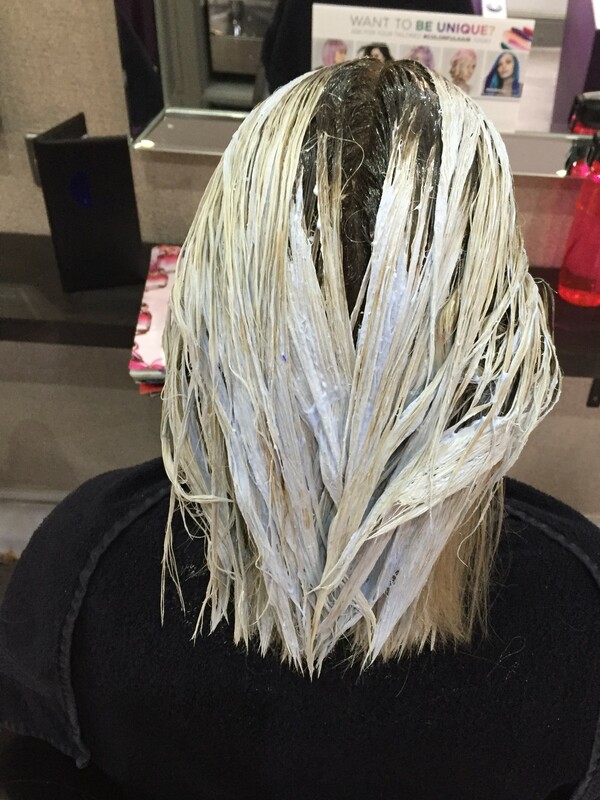 So what is Balayage? It’s ” A technique for highlighting hair in which the dye is painted on in such a way as to create a graduated, natural-looking effect.” It’s pretty much bespoke hair colouring and It’s genius! I love the rich brown shade used on my roots it blends in so naturally with the blonde. 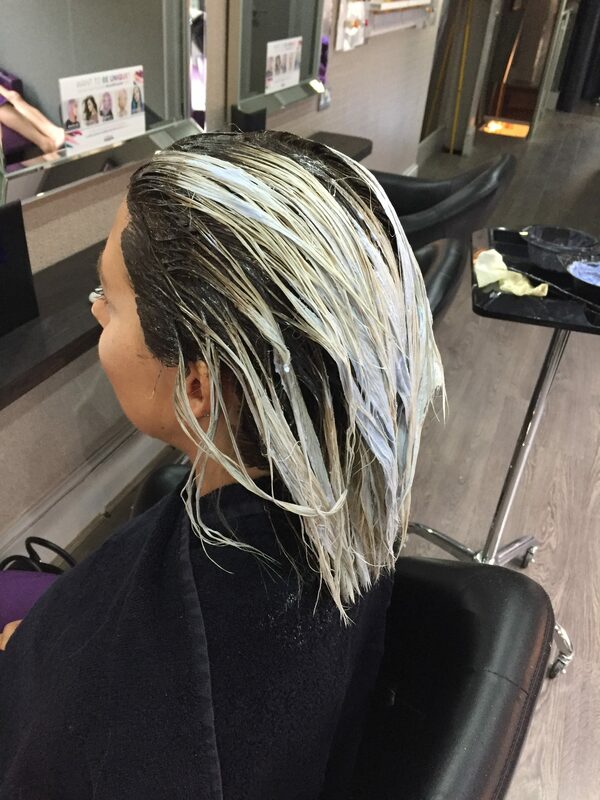 This is so much easier to manage and best of all no more foils! 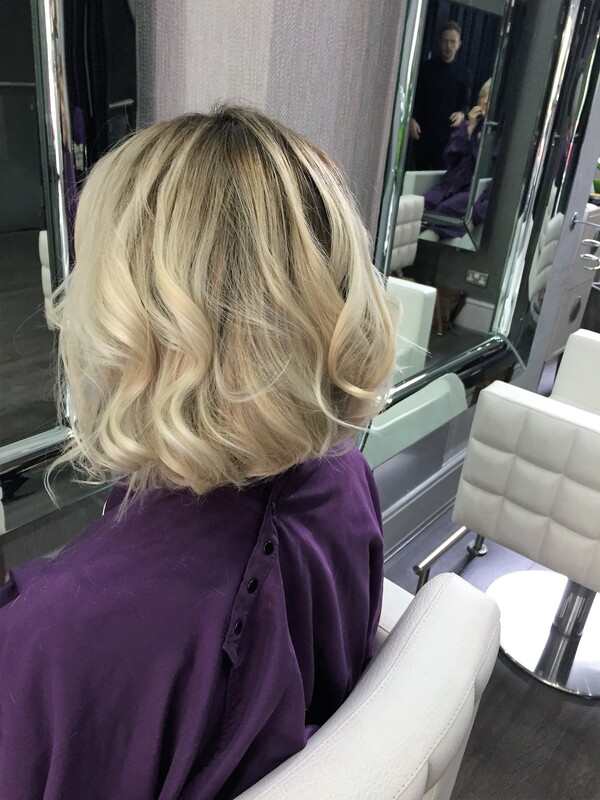 I also had it cut into a graduated lob! So shorter at the back but keeping the length in the front. This was ultimately one of the best salon experiences I have ever had. I’m totally in love with my haircut and colour. Thank you Collections Hair Club you have a customer for life! If you live in the Surrey area you must pop in for a consultation, you will not be disappointed.